It’s that time of year again, help us clean up downtown and socialize at the same time. 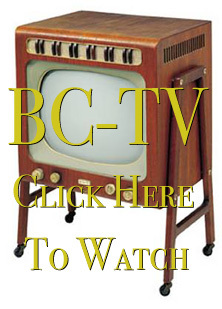 This Saturday, May 10th from 8am – 12noon is the annual BC Town Sweep. 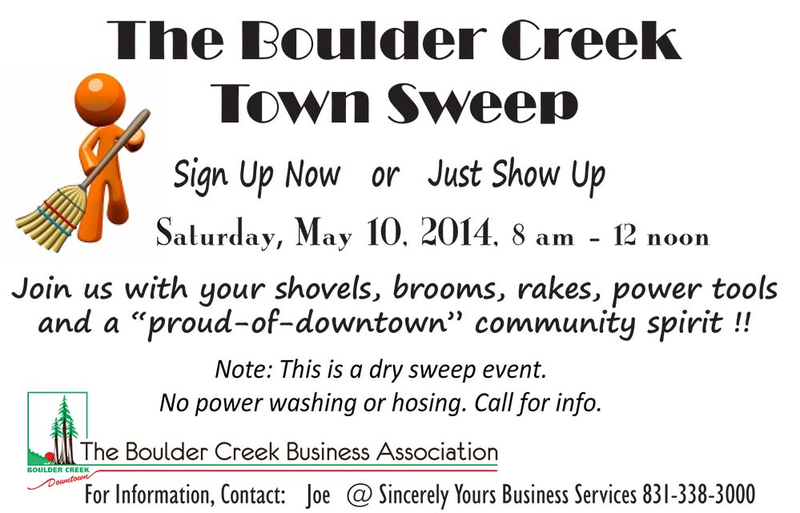 So bring your shovels, brooms, rakes, power tools, and pride for Boulder Creek and help us make our downtown shine. This year is a little different, due to the drought there will be no power washing or use of hoses. So after you have helped with the Town Sweep or checked out the Flea Market come by the Farmers Market and get some wonderful fresh produce for the week. There are going to be many venders there, and many things to buy besides just produce. Also there will be live music. 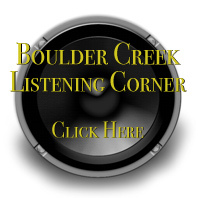 Just a FYI, there is a tree and wires down on the cross Bear Creek Road. It is closed between Summit and 17.